Whether you’re purchasing a health insurance fund for the first time or are already an Australian Unity member, it pays to compare and review policies to ensure you’re getting value for money. 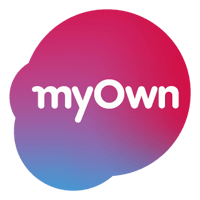 With a track-record of more than 175 years, this health insurer continues to benefit Australians by offering accessible healthcare and financial products. Their various hospital Packages provide you with the opportunity to choose affordable health care whether you’re single, newly married or have a family. However, before simply relying on an Australian Unity Health Insurance quote, it pays to shop around and compare quotes from companies offering similar products. 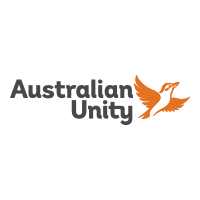 In this article, we’ll explore what Australian Unity has to offer and whether or not they’re able to provide you with the cover you need. Australian Unity Insurance is a national healthcare, financial services provider and retirement living organisation. Operating as the sixth largest health fund in Australia. In addition, this Australian health insurer operates four dental clinics. Other health allied services, of which Remedy Healthcare is one, are also included. Remedy Healthcare is a preventative health business that offers health coaching, chronic disease management programmes and in-home rehabilitation services for members and customers recovering from injury or surgery. Combined packages (Hospital + Extras). $79.80 average monthly premium with an excess of $500 for a single in VIC. You can get $1,100 back per year on a variety of everyday extras, including hospital cover for accidents and specified procedures. 100% of the minimum cost for government-approved surgically implanted items for selected procedures and accidents. Access to No Gap Dental network. Full cover for accommodation and theatre fees, day surgery and procedures, emergency ambulance transportation, joint reconstructions and investigations, & hospital care at home. Pregnancy and heart-related services are NOT covered. Cover is the same as for Basic Saver, but with added restricted rehabilitation and psychiatric hospitalisation. Also includes appendix, tonsil, adenoid and wisdom teeth removal. Singles and families can get up to $1,400 back per year. There is a $1,100 yearly limit. All major and preventative dental including root canal, gum disease treatments and surgical extractions are covered. Weight loss, doctor health checks, major Dental, Chiropractic and osteopathy, natural therapies, dietetics and podiatry, are also included. $100 excess. Singles pay an excess for the first overnight hospital admission; couples for the first two annual hospital admissions. Singles receive up to $1,300 back annually; couples up to $2,600 per year. Smart Start is NOT suitable for families. You can be treated as a private patient in a public hospital. You can claim up to $2,150 on extras per person annually. You can claim up to $1,100 on extras per person per year. Includes general dental, physio, remedial massage, acupuncture, and joint reconstructions. Pregnancy and fertility treatments are NOT included. $500 excess. No excess if your kids need to visit the hospital. For when you want more than just the basic hospital cover. Covered for accommodation and theatre fees in over 500 private hospitals, including rehabilitation services and day surgery procedures. An excess of between $250 and $500. You can claim up to $6,730 on extras per person per year. All essential treatments are included. Pregnancy and infertility treatments are NOT covered. You can claim up to $950 on extras per person, per year. Includes general dental and complex dental: Root canal, gum disease treatment and surgical extractions. Receive cover for optical, remedial massages and acupuncture. Claim up to $1,200 on extras per person, per year. Includes general dental and complex and major dental: Root canal, surgical extractions, crowns and bridges. You can claim up to $6,730 on extras per person, per year. Includes general dental and major dental: Crowns, bridges, dentures, and orthodontics. Receive cover for optical, remedial massages and natural therapies. Exclusions – What is not covered? When reviewing Australian Unity’s health cover options, there are some aspects that require careful consideration. Hospital benefits are not payable for private hospital emergency department fees. Experimental and high-cost Pharmaceutical Benefits Scheme (PBS) drugs are excluded. If you are ill or injured before taking out a health policy, you are considered to have a pre-existing medical condition. Meaning, you’ll have to serve a waiting period of 12 months before receiving cover for any treatments associated with such an illness or injury. Australian Unity will exclude health cover when you go overseas. Is Australian Unity a good health fund? Whether Australian Unity is a good health fund or not, depends on your specific needs. They offer a wide variety of options while taking into account that your lifestyle and financial situation might change in future. To determine if they’re a good health fund for you, you must compare them to other health insurance companies. What is the Australian Unity Health Insurance waiting period? Australian Unity Health Insurance waiting periods starts as soon as your policy commences and ends 12 months after that. Waiting periods are applied to pre-existing medical conditions, as well as when you upgrade to a higher level of cover. However, if you transfer within 30 days of leaving your previous health fund, you will not be required to reserve those waiting periods. How do I make an Australian Unity claim? Choose the type of treatment you need to claim for. On-the-spot-claim: Simply swipe your Australian Unity card where you are. Online application via their mobile claiming app. On the phone: Call them on 1800 807 144 Monday to Friday, 8h30 to 17h00. Using mail, email or fax: You would need to complete a health cover claim form, attach your receipts to the form and send these to Australian Unity on the address that is on your claim form. Do they offer ambulance cover? Yes, Australian Unity does offer ambulance cover with their hospital and combined health insurance plans. This can be purchased separately from $39.10 a year. However, stand-alone cover for ambulances is not covered. What does their dental cover look like? X-ray and topical fluoride treatment. Custom mouthguards that can be used during contact sports. A minimum of 15% of any dental treatment fees is guaranteed when you use any of the 1000 smile.com.au dentists. Does Australian Unity cover gym membership? Yes, all Australian Unity Health members have access to the Wellplan Rewards Program, which gives you access to generous discounts. As a member, you’ll receive discounts on gym memberships, fitness equipment and apparel, eyewear, accommodation and entertainment. To gain access, you need to register or login to their Online Members Service. Every health insurance company has pros and cons. Before purchasing a health insurance policy, compare the various healthcare options available and find the one best one suited for you and your family’s needs. Review their Hospital and Extras options and decide whether the not-for-profit health fund is a good option for you. Request a HIF health insurance quote now. Decide if you should switch or purchase health cover from NIB by reviewing their Hospital and Extras policies. 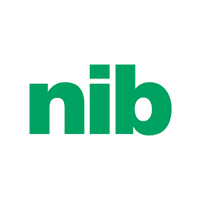 Compare NIB quotes with other big health funds. Find out if AHM is a good choice for you and your family by reviewing the packages, Hospital and Extras policies they offer. Request an AHM quote and compare. 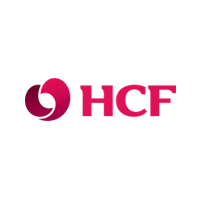 Review what HCF insurance has to offer; Combined packages, Hospital & Extras, and Ambulance cover. Request an HCF health insurance quote & compare policies. Review what Bupa health insurance has to offer, Hospital, Extras and Combination packages. Discover how government changes impacts your Bupa coverage. Request and compare quotes from Australia’s top private health insurance companies per 2019 market share. Review premium increases & customer satisfaction. My mother, aged 80 years, is visiting Australia from September 16 to January 26, 2019. Can you tell me what insurance would be good for her? To ensure your mother gets suitable cover at an affordable price, please fill in the quote form above because there are a few things that the specialist will have to take into consideration, for example where in Australia she’ll be staying and if she needs any support regarding her diabetes. I have a question regarding pain therapy with a device. There is a new government legislation that says private insurers are only obliged to cover pain therapy with a device under the gold hospital plans, starting April 2019. What will be the situation for the non-gold policyholders if they are trial patients proceeding to permanent implantation or if they already have their device implanted years ago but need a revision procedure? Will those patients not be covered unless they upgrade to a gold policy? Thanks. Hello Sam. This is a great question! – Not be a minimum requirement for Basic plans. 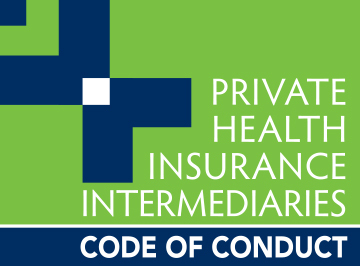 Insurers can choose to offer this service on a restricted or unrestricted basis. – Not be a minimum requirement for Bronze or Silver plans, but insurers can offer this as an additional service on an unrestricted basis. – Be a minimum requirement on an unrestricted basis for Gold policies. So, if you do not have a Gold plan, it very much depends on the health fund you choose and whether they decide to include chronic pain services and devices on their more basic type policies. Please contact your insurer and request that they provide you with a break-down of what their plans will and will not cover in 2019. If you would like some support in comparing policies, please give the health consultants a call on 1300 786 328.